On this sample there will be shown groupping, totals and sumaries from the reporting capabilities. 1. Create a new grid application using customers table. 2. 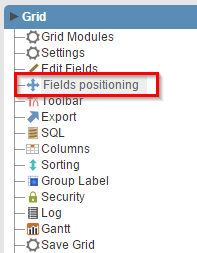 Choose CustomerID, CompanyName, Adress, Phone and Country fields in the Fields Positioning menu. 3. 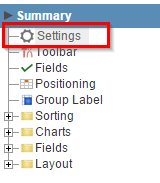 Open Group By menu and click in Settings. 4. 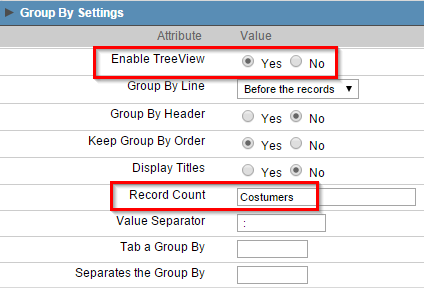 Enable Treeview property and set the value Customers in Record Count. 5. Back to Group By, click on “Static Group By>>New Group By” and select the StateID field, then click in Turn On button. 6. 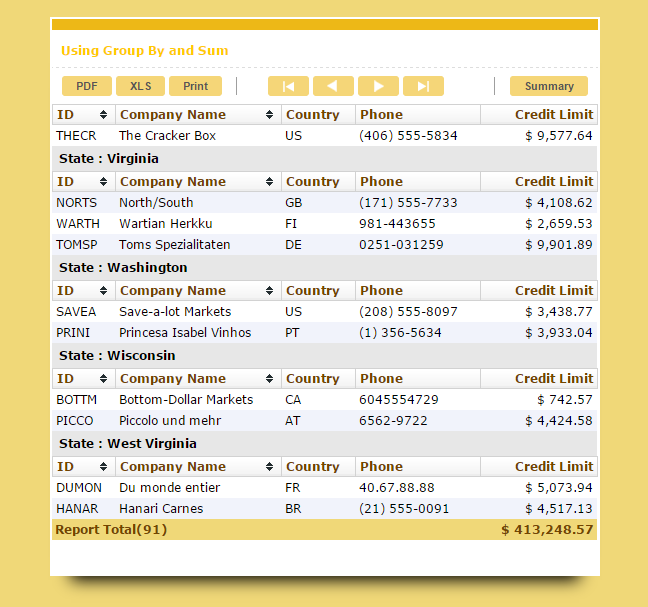 Open the Totals folder and click in Select Fields . 7. Select the field CreditLimit and then click in the Sum button. 8. Open Summary menu and click on Settings. 9. 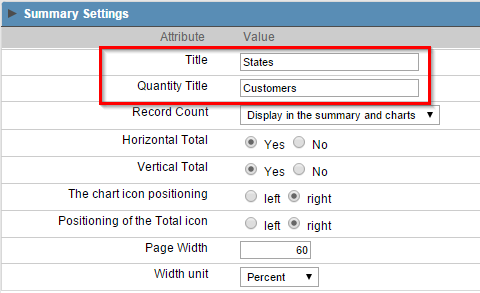 Set Title and Quantity Title to States and Customers respectively.